All families are different. Parenting tactics have changed over the years to meet changing ideals and what may work for one family may not work for another. It is important to keep these differences in mind and it is imperative as a parent to figure out how your children (and how every member of your family, for that matter) work on an individual level in order to deal with issues. There are several trends in children’s issues these days. Some may not sound new, but the way in which these issues are dealt with may require individual care and attention. Many parents dealt with the issues and problems that their children had when they were growing up, but it helps to remember that there is no one way to parent. Each child is different and will respond differently to situations. Remembering to listen to your children and to work with them to solve some of these issues can help make your own job easier and much more rewarding. Parenting may feel like a job that you alone are burdened with, but your children can actually help you figure out how best to parent them if you know how to listen and how to navigate certain situations. ISSUE #1: One of the biggest issues that kids face these days is bullying. It’s one of those things that everyone has dealt with at some point or another. 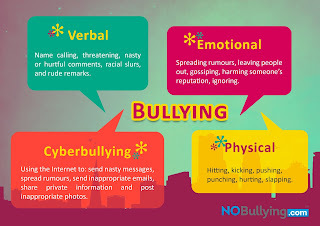 The difference with bullying now versus the bullying in the past is that parents now have to deal with cyber bullying. The truth is, however, that cyber bullying is not limited to children alone. You may be familiar with just how vitriolic comments and conversations can be online. Adults may be able to better ignore or avoid such confrontations, but since online media is so present in children’s lives they may not yet understand how they can navigate these sorts of situations. Cyber bullying is harder to identify, sometimes, especially since online conversations and comments can be hidden or deleted. What makes cyber bullying so dangerous is the fact that rumors can be spread faster than ever and certain things can be immortalized on the Internet. What is perhaps the scariest part of this trend is the fact that online anonymity and distance makes it easier for kids to become bullies. The distance associated with this kind of communication can be used for ill, and it may seem easier and less consequential for kids to say mean things or spread false rumors when they can use the internet as a shield. Teaching kids how to properly use the internet, how they should conduct themselves while using it, and advising them about the dangers involved is important. Many parents today introduce their children to the web at an early age, especially now that there are so many apps and games for small children. As a parent, you may not even realize when your child transitions from using the family computer or iPad for educational letter games to talking with friends and others online, so it is important that you watch what they do and remember to teach them how to be responsible no matter what they are doing online. ISSUE #2: Another major issue facing kids today is depression. The statistics can scare anyone, showing that kids as young as those in preschool are being diagnosed with clinical depression. As a parent, you may initially want to dismiss certain behaviors and you may even mistake behaviors associated with the condition as being lazy or over dramatic – but this can be dangerous. Pay special attention to your child’s behavior and be sure to ask them questions. Knowing how to read their behavior can help you identify when they may be feeling sad due to a particular event that may resolve naturally or whether there is something more serious at hand, like clinical depression. Remember, it helps not to dismiss everything your child says, listening to their problems is extremely crucial. ISSUE #3: Obesity is another major issue facing the children of this country at large. Many parents may live a busy and hectic lifestyle, meaning that fast food and other options filled with preservatives feel like your only options when it comes to feeding your family. Studies have shown that scheduling family meals ahead of time, making some snack alternatives, and even swapping out soda for water, can make a huge difference in the overall health of your children as well as your entire family. The way that children eat while growing up will influence how they make food choices when they are older. Even making some small changes to the foods that your family eats and what you do for meals as a family will have a huge impact on your child’s health. However, obesity is not just a side effect of a poor diet. Children need to stay active, and as educational as apps and games can be, it is important that kids do not spend all of their time in front of a screen as it can really deter them from moving around and getting exercise. ISSUE #4: Self-image is an interesting problem these days, since it goes both ways. Self-esteem is always a matter of concern for kids and parents alike, but recent studies have shown that some parents may overdo it. Parents know what it is like to get bullied and to feel as if they are not special or important – but telling your child that they are perfect and infallible can be detrimental. It is vital that you give your child a healthyself-image that allows them to navigate the world with confidence but not arrogance. There are plenty of other issues that face children today, but what is important to keep in mind, is that each child is different and that every family is different. As a parent, it is imperative that you get to know your children as individuals and that you learn how to read their behavior to know when something is wrong and understand their personalities when trying to resolve problems. When it comes to families, it helps to realize that your family is unique as well and that what may work for one family will not work for all. You can look to others for advice and ideas, but don’t judge yourself or others based on what works. It also helps to treat your children as individuals who have a say in the family, and not just kids. Treating them as individuals versus children that need to listen and behave can make a huge difference. While it is important to enforce rules and to teach kids how they should conduct themselves, treating each child as an individual will help them develop a healthy form of self-confidence and assurance that can further aid them when dealing with the major issues that face kids today. P.S. For more parenting tips check back often here or subscribe to our KD Novelties Blog. 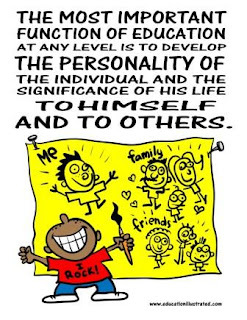 For self-esteem books for kids check out our website at http://www.KDNovelties where our goal is to make children the stars of their very own stories. How to Teach Your Kids to Read and Love It!